Synopsis (from Indiebound): Jaime is sitting on his bed drawing when he hears a scream. Instantly, he knows: Miguel, his cousin and best friend, is dead. Everyone in Jaime's small town in Guatemala knows someone who has been killed by the Alphas, a powerful gang that's known for violence and drug trafficking. Anyone who refuses to work for them is hurt or killed--like Miguel. With Miguel gone, Jaime fears that he is next. There's only one choice: accompanied by his cousin Angela, Jaime must flee his home to live with his older brother in New Mexico. Why I recommend it: With mentions of a politician planning to build a wall, and the urgency of the two cousins' need to find safety in the United States, you can't get more timely than this. 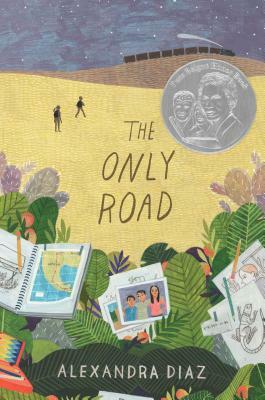 A lovely and at times harrowing book, The Only Road won a Pura Belpré honor for 2016, and it definitely deserves it. This is an important story, about fear and friendship and survival, that humanizes current issues. The characters are so real they seem like children you know. The sense of urgency keeps you turning the pages, while the sensory details draw you in and let you experience what the children are going through in the small dusty villages in Guatemala and Mexico. You may read a lot in the news about Mexicans coming here illegally, but from reading books like this (and Libertad by Alma Fullerton -- reviewed here) you'll realize it's more often desperate refugees from Central America who are trying to flee to freedom through Mexico to the U.S. And it's not just kids from Guatemala. Jaime and Angela meet other refugee kids from Honduras and El Salvador, and all of them are trying to go north. They know if they stay, they'll be forced to join a gang or be killed for not joining the gang. This book is an impassioned plea for mercy for immigrant kids. Here's a link to a recent New York Times article on this very subject. Bonus: An excellent discussion-starter for classroom units on immigration and current politics. Now on to today's MMGM (visit Shannon's blog for other MMGM posts). And another giveaway! Synopsis (from the publisher): When their grandmother Sylvie is rushed to the hospital, Ivy Sparrow and her annoying big brother Seb cannot imagine what adventure lies in store. Soon their house is ransacked by unknown intruders, and a very strange policeman turns up on the scene, determined to apprehend them . . . with a toilet brush. Ivy and Seb make their escape only to find themselves in a completely uncommon world, a secret underground city called Lundinor where ordinary objects have amazing powers. There are belts that enable the wearer to fly, yo-yos that turn into weapons, buttons with healing properties, and other enchanted objects capable of very unusual feats. But the forces of evil are closing in fast, and when Ivy and Seb learn that their family is connected to one of the greatest uncommon treasures of all time, they must race to unearth the treasure and get to the bottom of a family secret . . . before it's too late. Why I recommend it: This book is adorable! An absorbing and imaginative fantasy/adventure, which provides a lovely escape from the real world. I was impressed by Bell's world-building and the details of the plot. Ivy is a likable character, and there's more than enough intrigue. You'll find yourself eager to accompany Ivy and Seb (along with their new friend, a thief named Valian), on their adventure. Harry Potter fans may recognize the influence (maps that show were someone is, commoners being called not muggles but "muckers") but it didn't bother me. In fact, it made me smile. 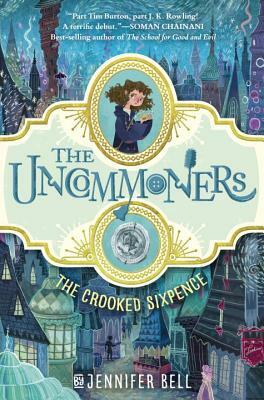 This could easily become a favorite new series for middle grade readers. Favorite lines: (from p. 28 of the arc) The rapid fire of hoofbeats sounded on the other side of the hedgerow. A wild neigh followed the clatter of something loud and heavy, and then Officer Smokehart came tearing along toward them. He moved impossibly fast, his arms pumping as his black cloak mushroomed up behind him. Bonus: It's illustrated! Delightful drawings by Karl James Mountford are sprinkled throughout (final art not seen in arc). Giveaway details: The publisher has generously offered one hardcover copy for a giveaway. This giveaway is open to US mailing addresses only (so sorry!) and will end on Sunday, March 5, 2017 at 10 pm EST, with the winner to be announced Monday March 6. To enter you must be a follower of this blog and you must comment on this post. Good luck! 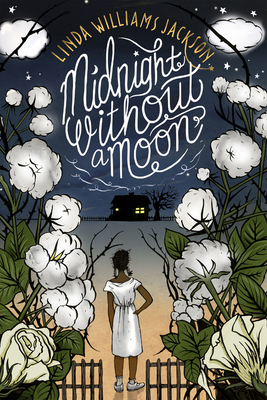 Synopsis (from the publisher): It's Mississippi in the summer of 1955, and thirteen-year-old Rose Lee Carter can't wait to move north, following in the footsteps of her mama and her aunt. But for now, she's living with Ma Pearl and Papa, her grandparents, who are sharecroppers on a cotton plantation. Though she's heard bits and pieces about the civil rights movement, Rose is more interested in leaving the South than in changing it. Then, one town over, a fourteen-year-old African American boy, Emmett Till, is killed for allegedly whistling at a white woman. When the killers are unjustly acquitted, Rose realizes that the South needs a change but she doesn't know if she should be part of the movement. Why I recommend it: Oh, there is so much to recommend here: an honest young-teen voice, authentic dialogue, memorable characters, and descriptions so fine you can just see the house Rose lives in, taste the butter beans, and feel the summer heat. After only a few pages, I felt as if Rose was a real 13-year-old, telling me her story. This is one of those novels you don't read so much as you inhabit, and you may find yourself walking around in Rose's shoes for a few days, justifiably angry at the terrible events of 1955. Even though this is historical fiction, it's absolutely relevant today, considering the state of the union. Favorite lines: "The sun beat down on me like I owed it money from six years back. Sweat dripped in my eyes so bad that I couldn't tell cotton from weeds..."
Bonus: An excellent discussion-starter for classroom units about the Civil Rights movement. Plus, there's a sequel, A Sky Full of Stars, coming in January 2018! Read this moving guest post by Linda on Caroline Starr Rose's blog. In honor of Black History Month, what's your favorite historical novel about the Civil Rights movement? JASPER AND THE RIDDLE OF RILEY'S MINE by Caroline Starr Rose for MMGM -- plus a GIVEAWAY! Jasper and the Riddle of Riley's Mine by Caroline Starr Rose (Feb 7, 2017, Putnam, 304 pages, for ages 8 to 12). Synopsis (from Indiebound): Desperate to get away from their drunkard of a father, eleven-year-old Jasper and his older brother Melvin often talk of running away, of heading north to Alaska to chase riches beyond their wildest dreams. The Klondike Gold Rush is calling, and Melvin has finally decided the time to go is now even if that means leaving Jasper behind. But Jasper has other plans, and follows his brother aboard a steamer as a stowaway. Onboard the ship, Jasper overhears a rumor about One-Eyed Riley, an old coot who's long since gone, but is said to have left clues to the location of his stake, which still has plenty of gold left. The first person to unravel the clues and find the mine can stake the claim and become filthy rich. Jasper is quick to catch gold fever and knows he and Melvin can find the mine; all they have to do is survive the rough Alaskan terrain, along with the steep competition from the unscrupulous and dangerous people they encounter along the way. Why I recommend it: Caroline Starr Rose continues to impress me. I've been a fan of her blog since even before May B. pubbed. And May B. made me fall in love with verse novels. I found Blue Birds equally as gorgeous and impressive. Now, she's turned her expert historical fiction skills to prose. And an exciting tale it is. Jasper is so gosh darn likable and funny, you can't help but want to cheer him on. He's flawed, of course, and often breaks the rules, but his heart is in the right place. If you're a writer, study this one for how to make your main character both realistic and likable. Of course, this is also is an adventure story on a grand scale. Rose keeps you turning pages as you race to decipher the clues to the riddle. You'll feel as if you're right there shivering with the boys as they head north, trying to locate the mine and meeting plenty of dastardly antagonists along the way. You can tell the author has done her research. The details about the Klondike Gold Rush are riveting. Favorite lines: "Gold," I say again. The word feels warm and round and strange on my tongue (from page 3 of the arc). Bonus: This would make a wonderful read-aloud. 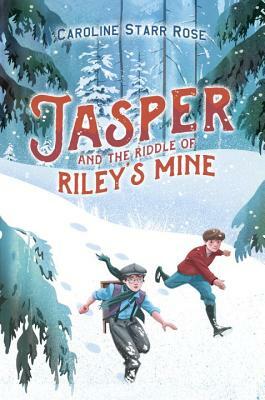 Giveaway details: One lucky reader will receive both a brand-new hardcover copy of JASPER AND THE RIDDLE OF RILEY'S MINE, plus (through the generosity of the author) one 40-page journal, with a quote from the book on its cover. (If you'd like the book but not the journal, please mention this in the comments, and if randomizer picks you, I'll choose someone else for the journal.) This giveaway is open to US mailing addresses only and ends on Sunday February 19, 2017 at 10 pm EST. To enter, you must be a follower of this blog and you must comment on this post. Winner will be announced on Monday February 20, 2017.